High Schooler Oliver is a nerd. He’s a list-maker and a straight-A student. And he wants to win over the lovely Ainsley. Using advice from his family and friends as well as his sure-to-succeed list, Oliver attempts to win Ainsley over. The only problem is that she already has a boyfriend! Boys will be boys… Wrong! Oliver broke that mold completely. He is sensitive and thoughtful and adorably awkward. Girls won’t always be girls either because Ainsley appears to be shallow at first, but as Oliver gets to know her so do we and everyone can see why Oliver has a crush to end all crushes on her. This novel featured realistic characters, even the ‘bad’ boyfriend. 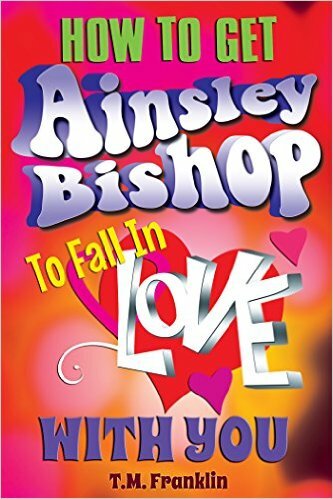 Ainsley isn’t an airhead, she has substance to her, even if she is dating the ‘bad’ boyfriend. The dialogue is absolutely clever and Oliver’s awkwardness and inner thoughts are hilarious. This book shows such a great, and what I think of as accurate, insight into young men and women in high school. I love how Oliver received a lot of good dating advice… from mothers and fathers and friends and siblings. Make her feel important. Listen to her. Find what’s meaningful to her. All good advice! And Oliver actually puts it to use! This novel was published by The Writer’s Coffee Shop on June 10th, 2014 and is available on Amazon here.